New research reveals that 67% of Irish people believe that social media inspires them, and a further 78% say it gives them ideas for creative projects. The research also revealed that in this traditionally sports-obsessed nation, there are now more people who would aspire to be a social media influencer than those who consider a professional sports player as being their ‘dream job’. Coinciding with this, Huawei has this week launched yet another quest to seek out Ireland’s best amateur photographers. The tech giant aims to find the best in the business, and are looking to reward those with admirable print prowess with a princely sum –– in the form of a new gadget and holiday of a lifetime. All one has to do is take a snapshot, use the hashtag #HuaweiCreatives as well as the hashtag for the category they are entering, e.g. #Nature and stick it online. One winner will win flights and accommodation for two anywhere in the world and the overall winner and the winner of each category will also receive Huawei’s new device from the flagship P30 series, which is to be released in March. 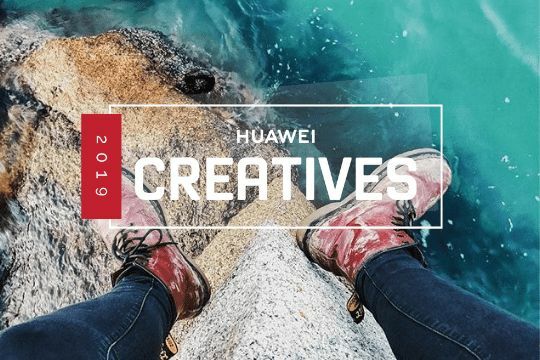 “We wanted to learn more about what inspires people in Ireland to foster their creativity so that Huawei Creatives could continue to support them in their endeavours and projects," Zena Ross, Marketing Manager of Huawei Ireland said ahead of the launch. "Our research revealed that Instagram remains the chosen platform for people sharing their innovative ideas, and imaginative photography and 65% of Irish people use social media to share their photography with their friends and followers." For T’s & C’s, information on how to apply, or just to find out more – click here.